I love trailers. I think there is a special skill to putting together a good trailer. It must capture the attention and entice an audience but give very little away so that the viewer doesn’t feel like they’ve already seen the movie. Very few trailers master this but there are many that try and get very close. Every day I will highlight a new trailer which manages to successfully get me excited for a movie. Today’s trailer is the second outing for a marmalade loving British institution. I loved the first film and this trailer seems to be following the same theme as the first. It includes slapstick, some great British casting (including Hugh Grant, Peter Capaldi and Brendan Gleeson) and a lot of visual humour. 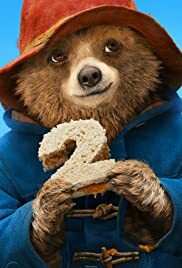 It is only the teaser trailer so there is little in the way of story but even the prospect of Paddington doing tasks like cleaning windows is enough to bring a smile to the face. Overall, a sequel I am really looking forward to and one I hope delivers on the humour and heart of the first film. Not a lot in this trailer but enough to et me excited for November.